Print quality displays that last. 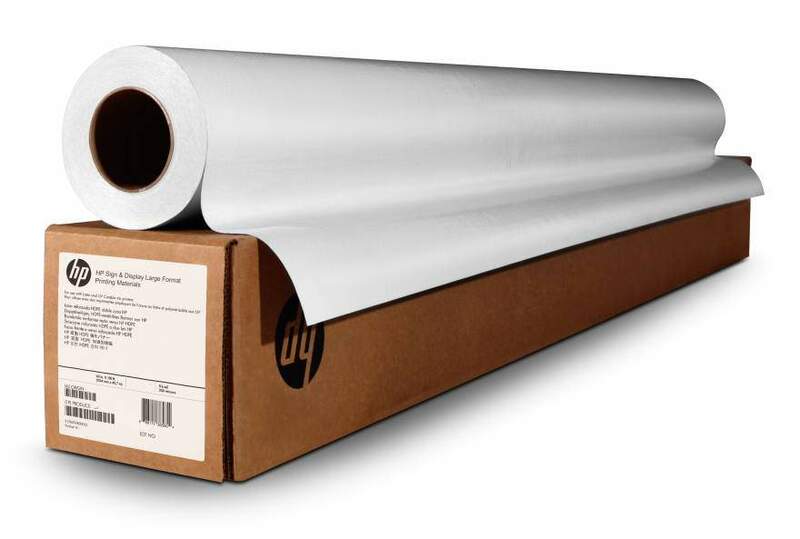 A strong, flexible metallic back enables roll-up displays that endure the wear and tear associated with repeated rolling and unrolling. And prints provide up to 1 year in-window, unlaminated display permanence.Create vivid POP retail displays that get noticed. Designed together with Original HP pigment-based inks, this film provides a broad color gamut ideal for a wide range of applications from pop-up displays to roll-up presentation systems.Saves time and money. Because you can eliminate the complicated process of applying back laminate to printouts, displays are quick and easy to produce. Plus you can reduce waste and production costs.